If you mention the name Algonquin Park to any camper in the world, they’re sure to have heard of it. This is by far the most famous and a popular camping area in Canada as is visited by thousands of people every year. It has great campsites as well as excellent waterways for canoeists and trails for hikers. 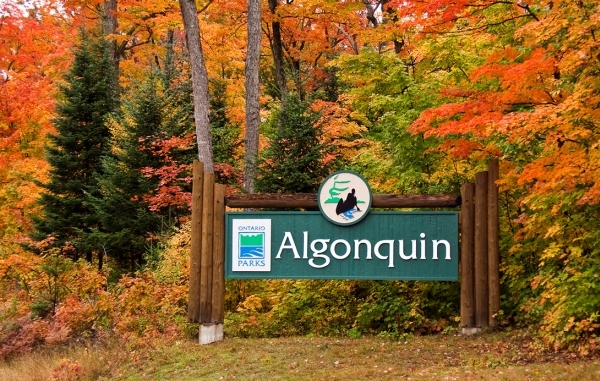 Algonquin is a Provincial Park in Ontario, which means it’s operated by the government and has a specific set of rules when it comes to fishing and fires. It’s been attracting campers from all over the world ever since it opened in 1893. The park is situated on such a big piece of land that it’s bigger than some of the world’s smaller countries. The park is home to an incredible 2,400 lakes as well as miles of streams and rivers. It has many species of wildlife, flora and fauna. There is a visitor centre and logging museum on the land and well over 1,000 campsites to choose from. Many adventurists spend days in the park canoeing and portaging from one end of it to the other, camping wherever they can along the way. In fact some of the campsites can only be reached by foot or water. The park is open all year round and offers numerous activities such as cross country skiing, horseback riding, biking, and hiking etc. Algonquin Park is so popular that it runs several camps for boys and girls in the summers.